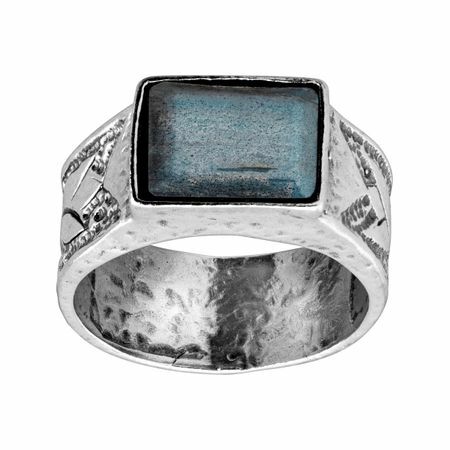 Named for a flower often associated with faith, wisdom, and cherished friendship, this grey-blue labradorite ring features a floral design etched into either side of the sterling silver band. Ring face measures 7/16 by 5/16 inches. Piece comes with a ".925" sterling silver stamp as a symbol of guaranteed product quality.